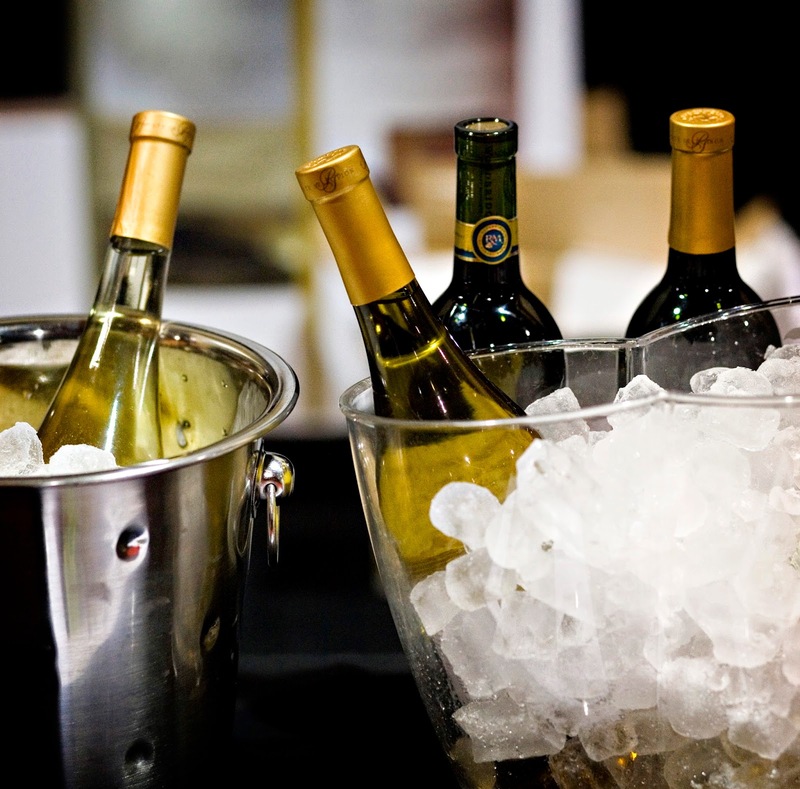 The 14th Annual Edmonton Rocky Mountain Wine & Food Festival is back! You've heard me say again and again, but attending a wine festival is one of the best ways to try a variety of wines, scotches, and other spirits without investing your hard earned cow coins (or human coins) in an entire bottle, only to find out that you don't like what you bought. It also has the added benefit of exposing you to wines from areas that you may never have heard of -such as Moldova - and you'll fall in love with your discovery. Not to mention, knowledgeable representatives will be there pouring the wines, spirits and other libations, which is the perfect chance to ask them any question you've ever had about the winery, distillery, etc. The 14th Edmonton Rocky Mountain Wine & Food Festival will be taKking place Friday, November 6 through to Saturday, November 7, 2015. Entrance tickets range in price from $19-$35 (depending on if you buy online or at the door), and sampling coupons are once again $0.50 each. You will need to purchase sampling coupons in addition to the entry ticket if you want to try any samples of alcohol or food. The number of coupons require generally range between 1 to 20 coupons. One very special and exclusive sampling they will have at this years festival, particularly if you are a scotch enthusiast, is a tasting of a 42 Year Old Lediag. Ledaig comes from the Tobermory Distillery on the Isle of Mull and is amongst the oldest commercial distilleries in Scotland. I'm not sure what it would retail for in Canada, but I've seen online that in the United Kingdom, it's retail price is between 2,000-3,500 BP (approximately $4,000-$7,000 Canadian Dollars). Obviously as a result, this sample does not come cheap, at 120 coupons ($160) for 1/4 oz sample or 240 coupons ($120) for a 1/2 oz sample, and are limited. Now, onto the good news, I have a pair of entrance tickets to give away to one lucky reader! These tickets are good for the session being held Saturday, November 7 from 12:00 - 4:00pm. Note that the tickets are for entrance only and you will need to purchase sampling coupons yourself (they cost $0.50 each) in order to get food, wine and other beverages from each booth. This is an adult only event (ie. 18 years or older) and minors are not permitted to attend. This means that you must be 18 years of age, and living in or around the Edmonton area in order to enter this contest and to attend the event. There are a few ways you can enter this giveaway! Just check out the Rafflecopter widget below and choose an option or all 5! There are some options that will allow you to enter once per day! Contest closes on Wednesday, October 28, 2015. UPDATED Thursday, October 29, 2015: The contest is now closed! Thanks to everyone who participated! Thanks to the 14th Annual Edmonton Rocky Mountain Wine & Food Festival for providing a pair of tickets to giveaway! And the winners is.... Chris Chantler! Congratulations and I hope you enjoy the wine, beer, spirits, liqueurs and food at the 14th Annual Edmonton Rocky Mountain Wine & Food Festival! So many great wineries and distilleries at this event. I can't choose a favourite. Lately I've been loving Flying Monkeys! Love Dirty Laundry. Great wines! 42 year old Lediag Scotch because it is 42 years old and comes from the oldest distillery in Scotland. I am luving the all the new Alberta craft breweries popping up! I want to try some new wines that I have never had ! Thank you for the tickets Marlow, and thanks for hosting these contests. I'm looking forward to all the tastings, and maybe seeing you at the event.